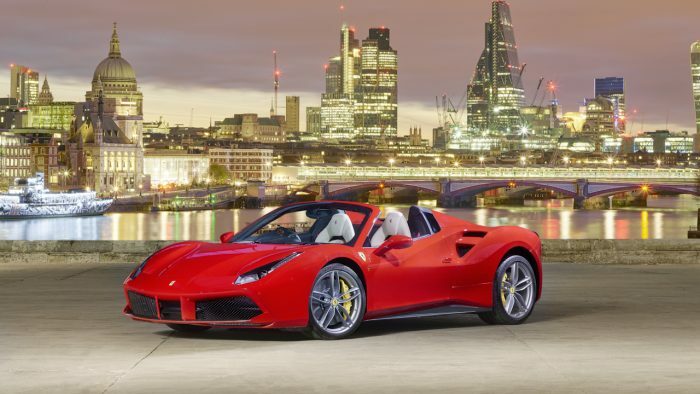 It is always a special event when a new Ferrari car is released, especially when the Ferrari 488 Spider was launched. 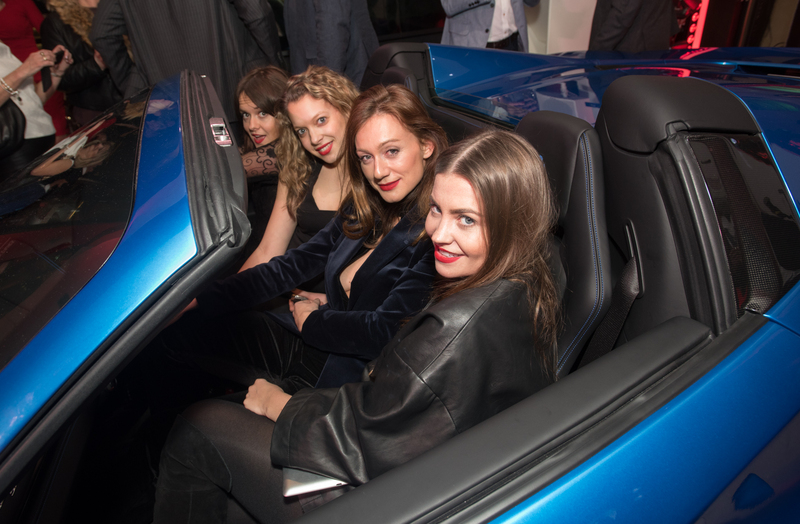 The event is always filled with excitement, expectations, lots of glamour, and most importantly – noise. 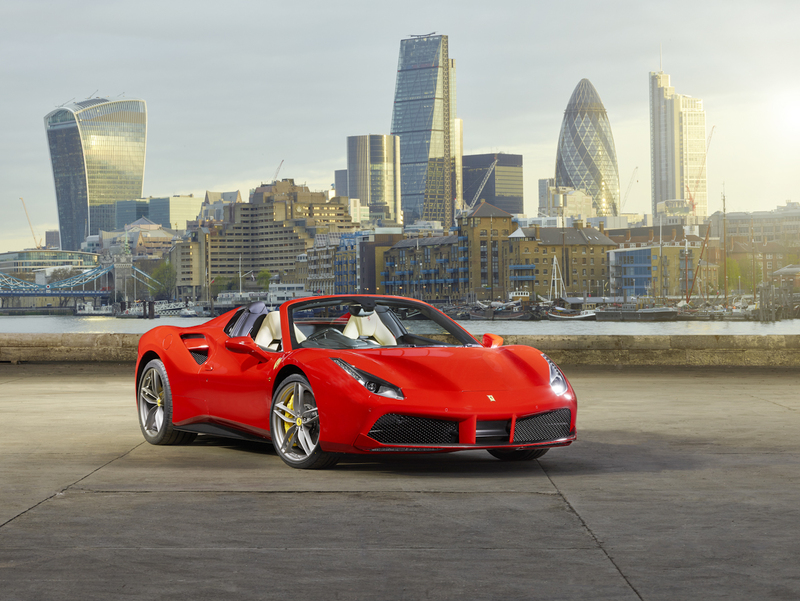 The same can be said when the Ferrari 488 Spider was launched. 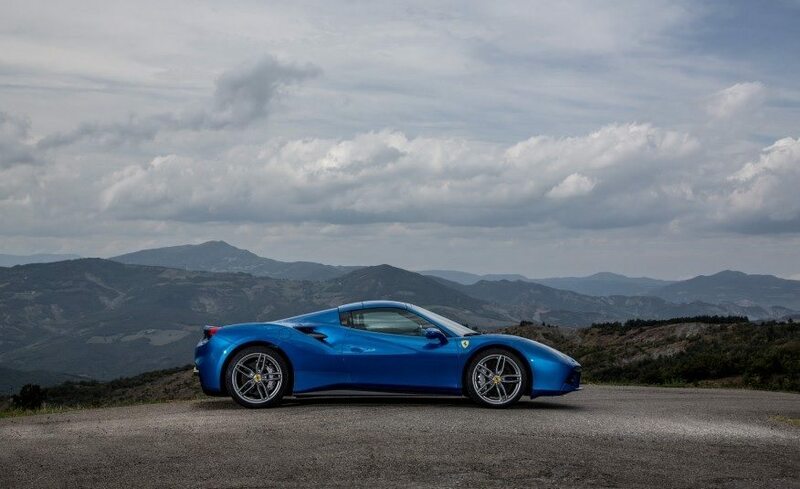 The 488 GTB Coupe that we already tested is really good and is still one of best performance cars as of today. The 488 Spider, on the other hand, carries that exact same legacy except for this time the company decided to lop off its roof as another one of their marketing gimmicks. 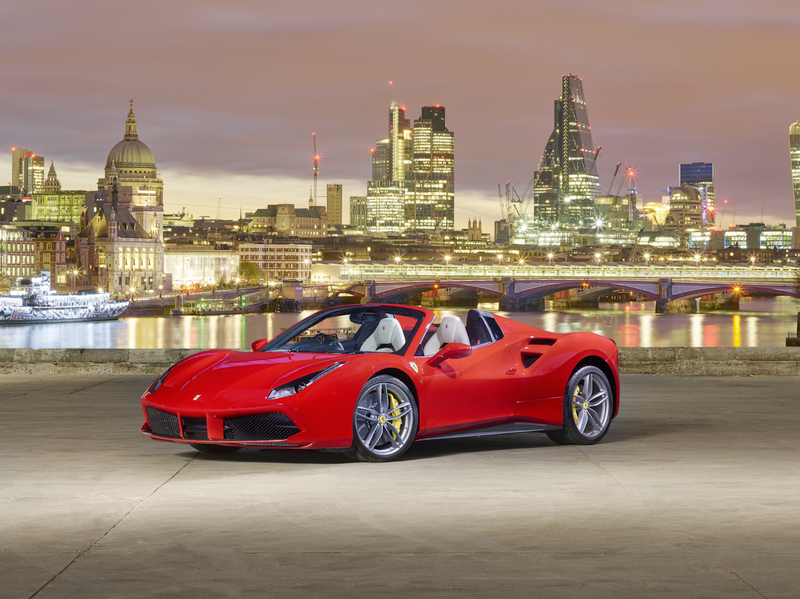 We’ve already tested the 488 GTB Coupe and there’s no denying that it is one of the best performance cars we have today. 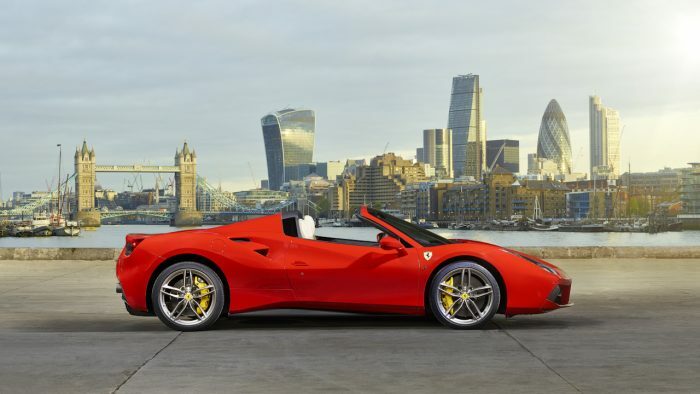 The new 488 Spider is expected to carry the same legacy but this time it come with a folding hardtop. 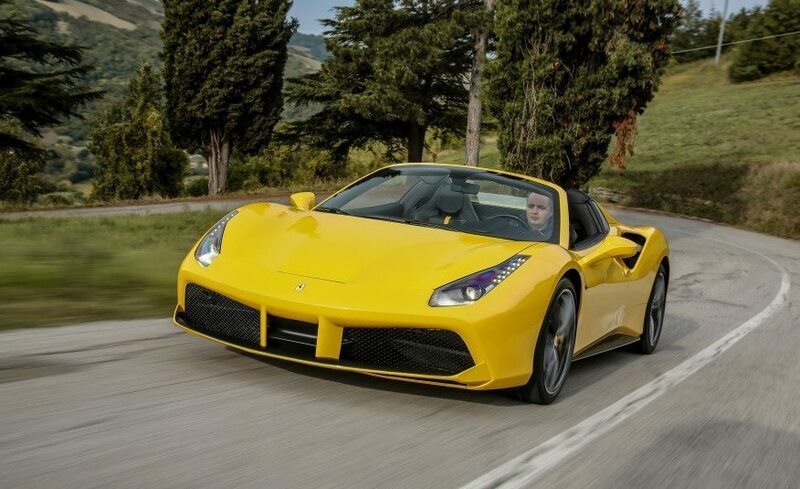 This is another one of Ferrari’s marketing gimmicks to make an appeal to their avid fans and customers. 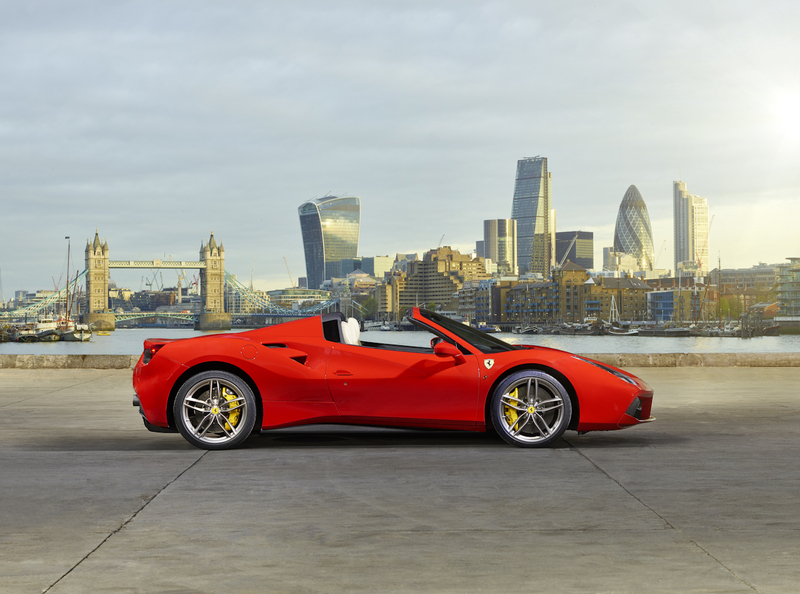 The 488 Spider features the same folding hardtop from which was first introduced on the 458 Spider. 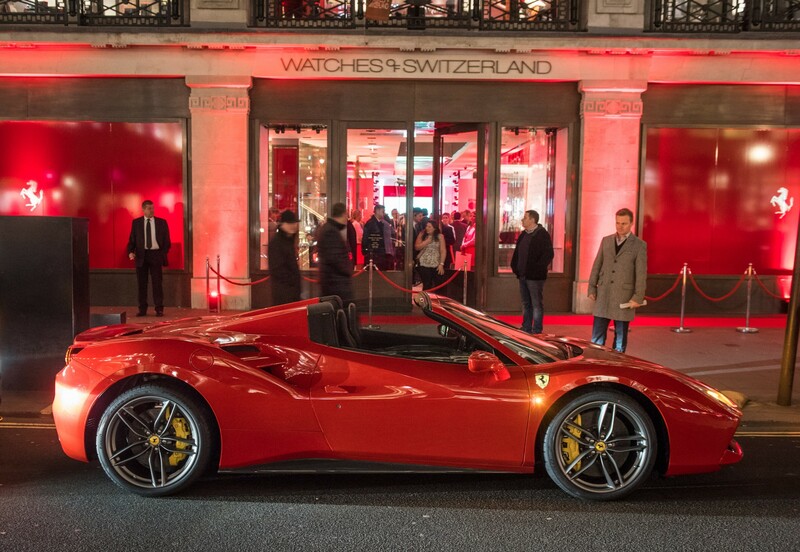 This is actually a very clever marketing tactic for the company. 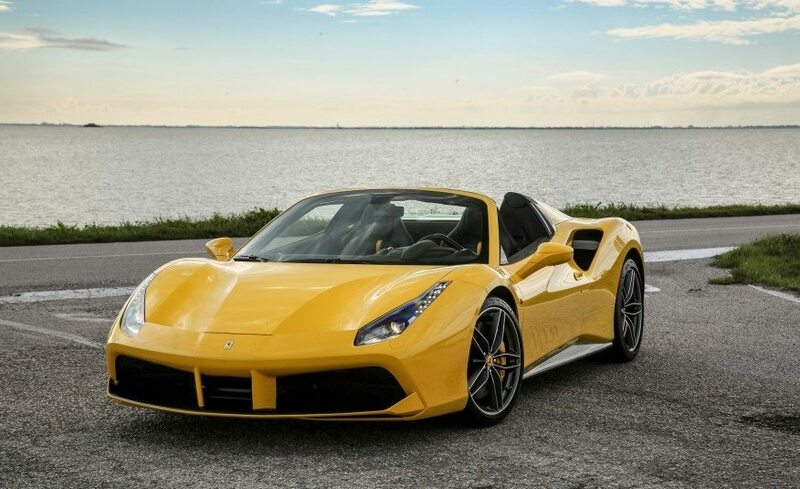 The retractable hardtop will fold backward immediately as soon as you pull the button found on the center console. 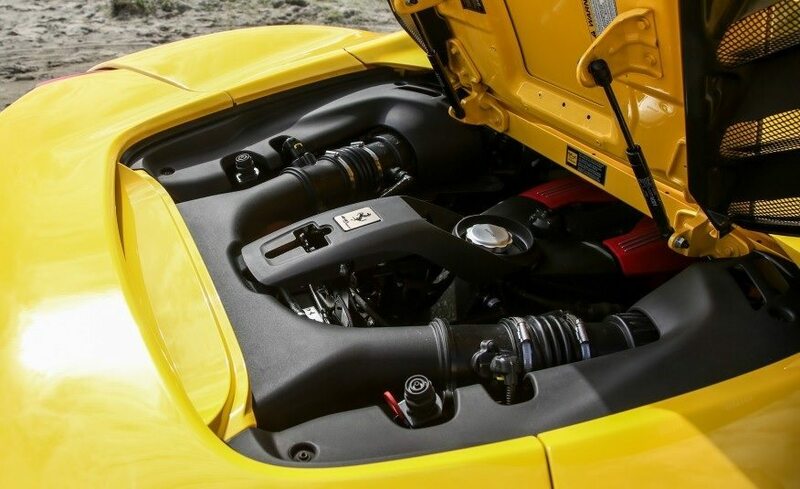 There is also a small cover at the front of the engine bay that will rise up as the roofs peels back into the gap. 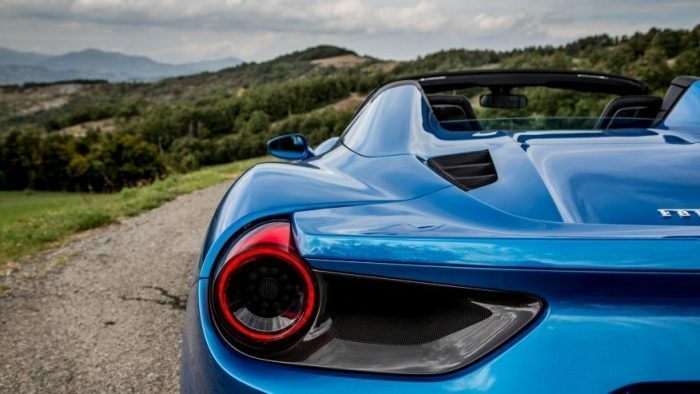 We find this a very clever mechanism especially if you get to see it in person. 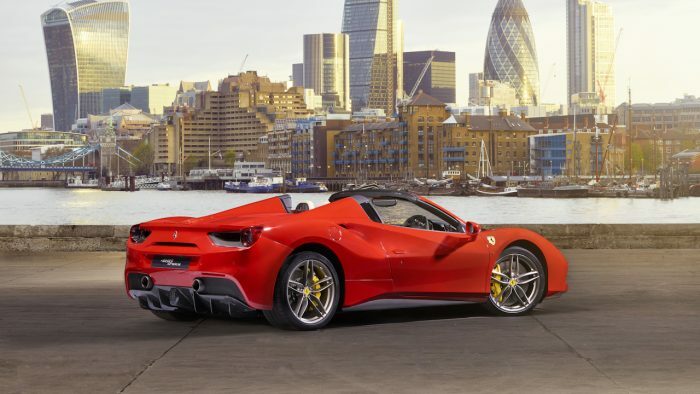 Also, the mechanism takes only 14 seconds to finish and what’s more is that you will be able to activate this mechanism if you are at a speed of at least 30mph. 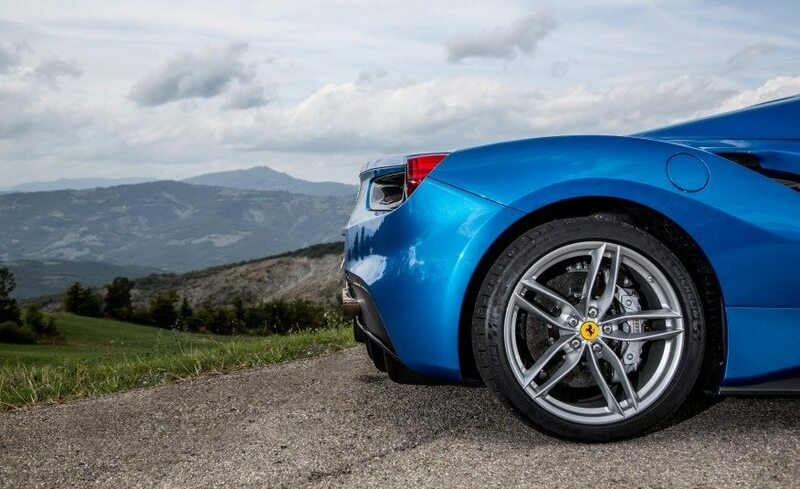 You don’t have to stop and stay on the side of the road for a minute to close the top should there be sudden rain. 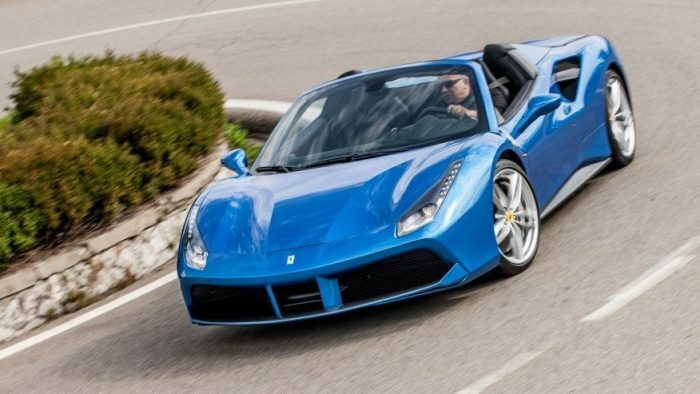 Ferrari also added a 3-stage glass wind deflector that will rise up automatically once the roof is down. 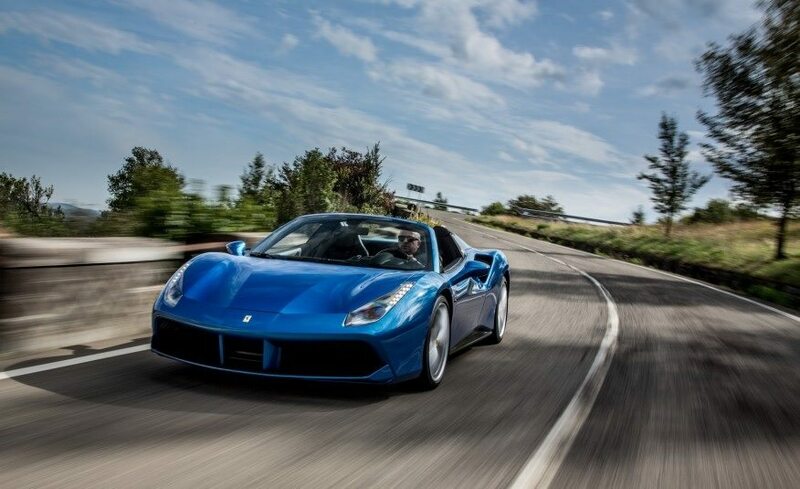 This will allow you maintain a good conversation with your passenger as you are cruising at motorways. 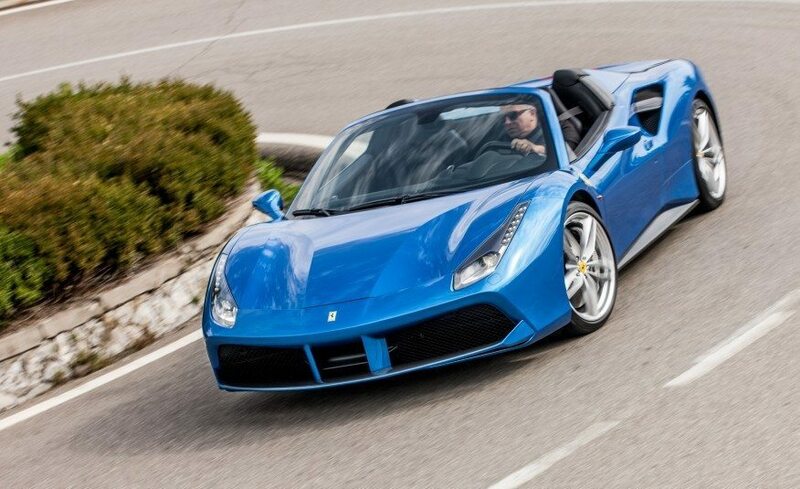 Also, the Spider just looks even more beautiful than the GTB counterpart when the roof is up. Whether you put up the roof or down, the Spider is definitely one of the most elegant Ferraris you’ll ever see. 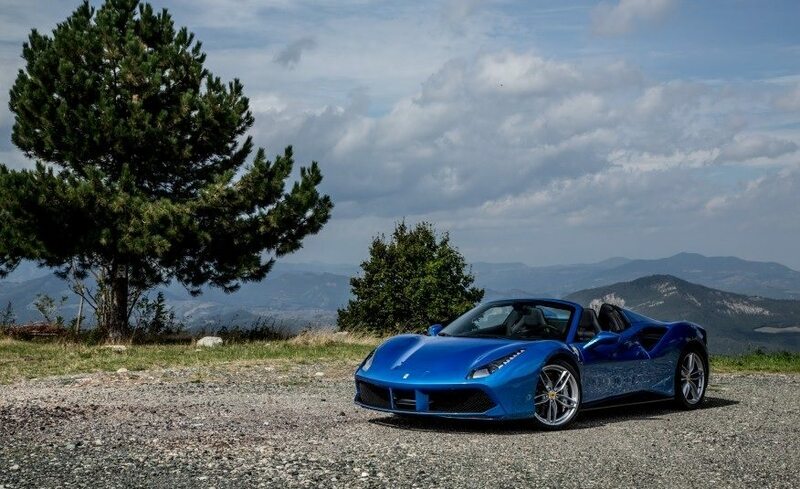 It is also good to note the 488 Spider is one of the fastest Ferrari cars too. 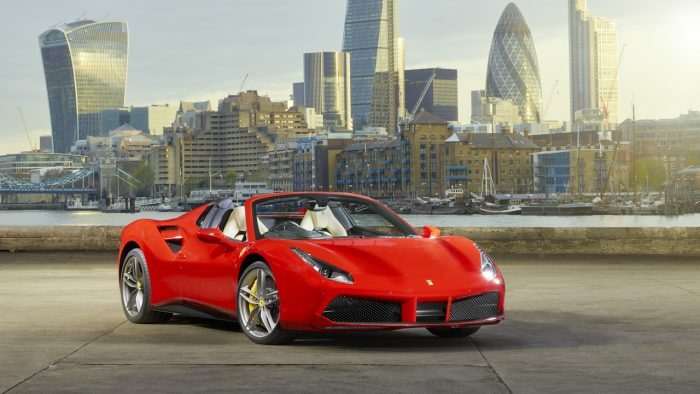 It has a 3.9-litre twin-turbo flat crank V8 engine just like the one found in the GTB. 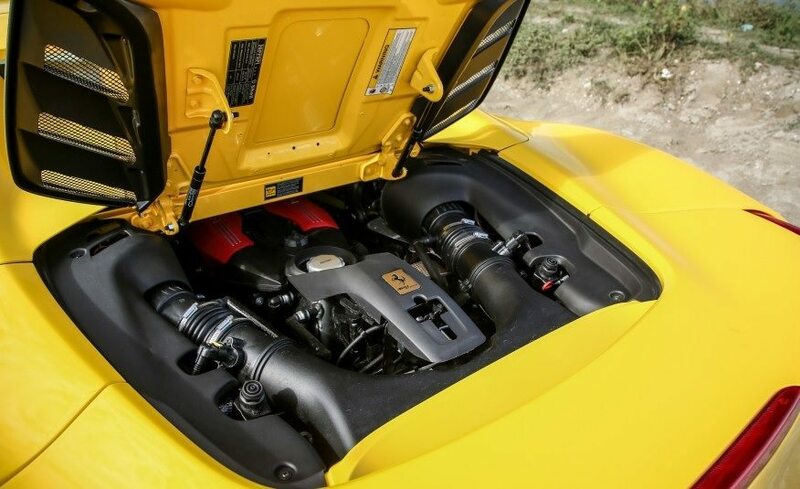 This engine can produce 660bhp and 760Nm of torque. 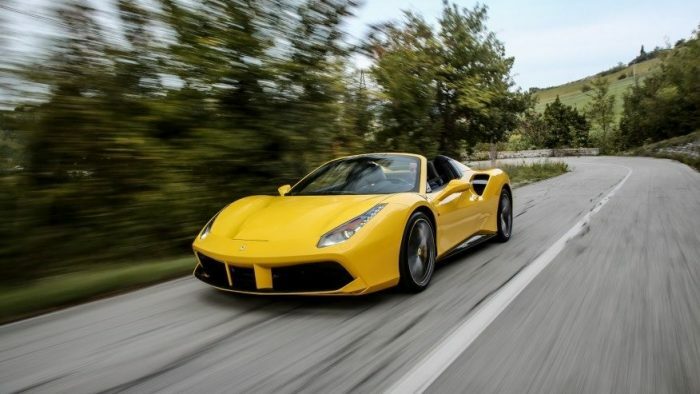 The 488 Spider is all about torque with a peak of just 3,000rpm. 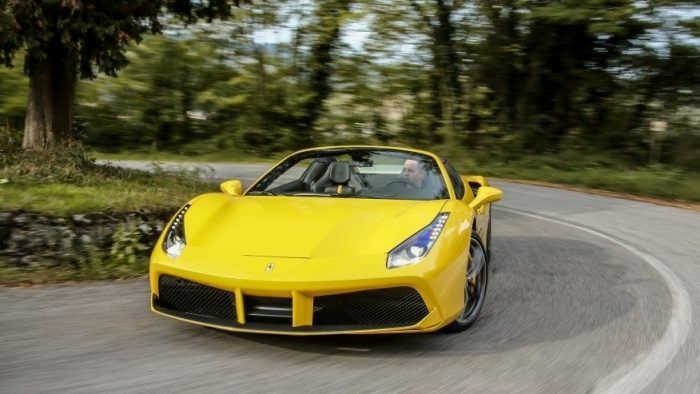 Kudos to Ferrari for limiting the torque especially in the lower gears. 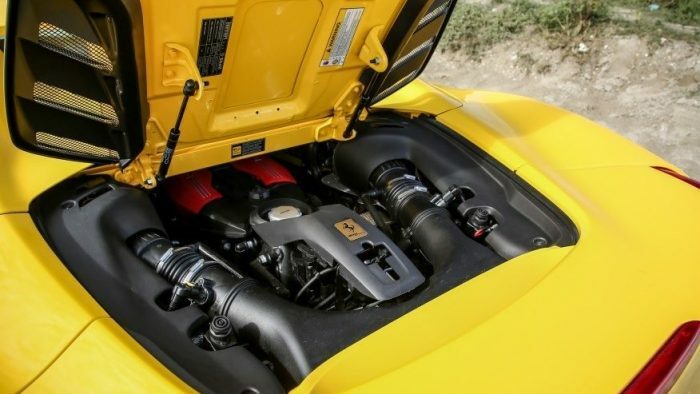 This should be able to smooth out the delivery and prevent lag especially from a turbocharged engine like this one. 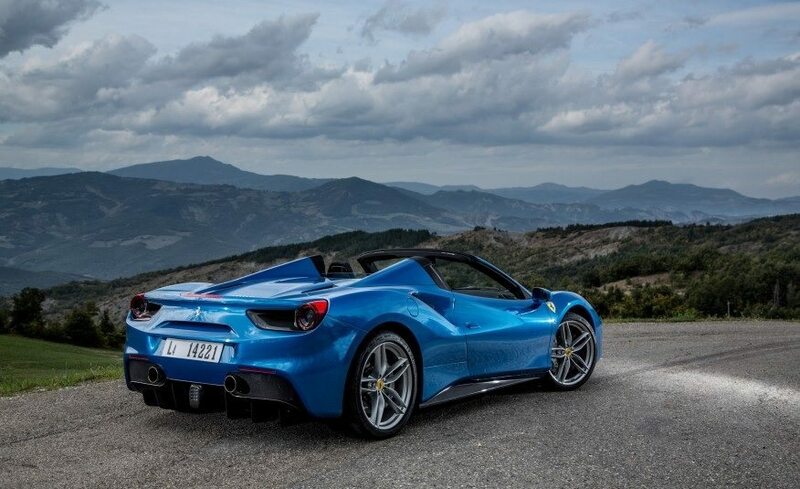 As a result, the 488 Spider has no hesitation at all from its engine. 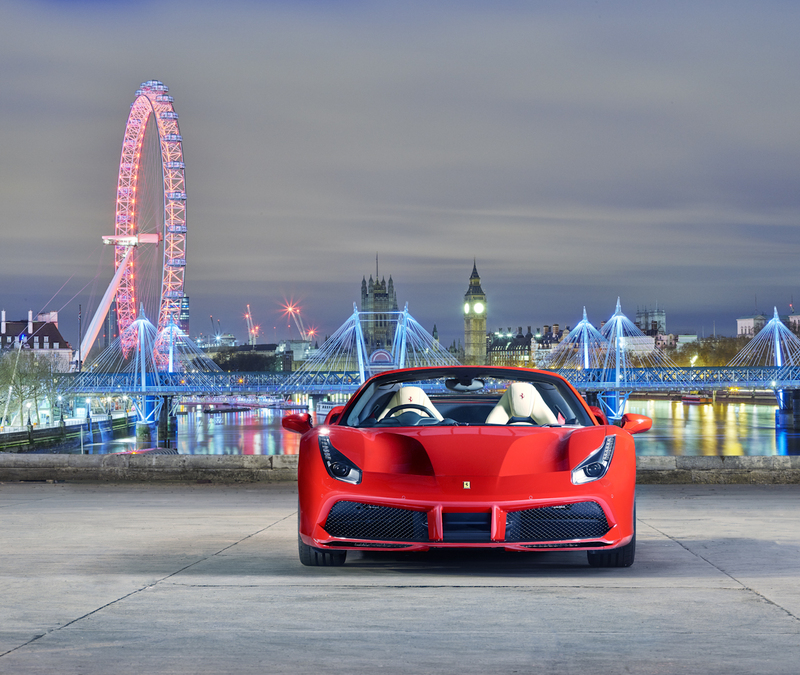 It is very responsive. 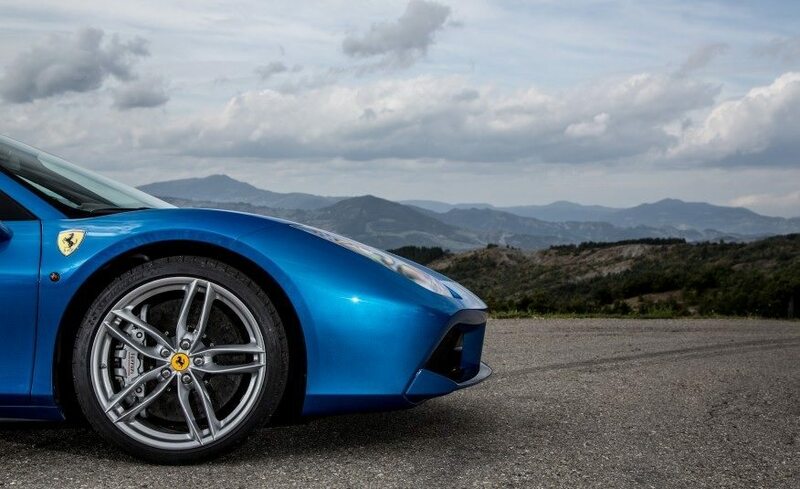 It responds instantly as soon as you step on its throttle pedal. 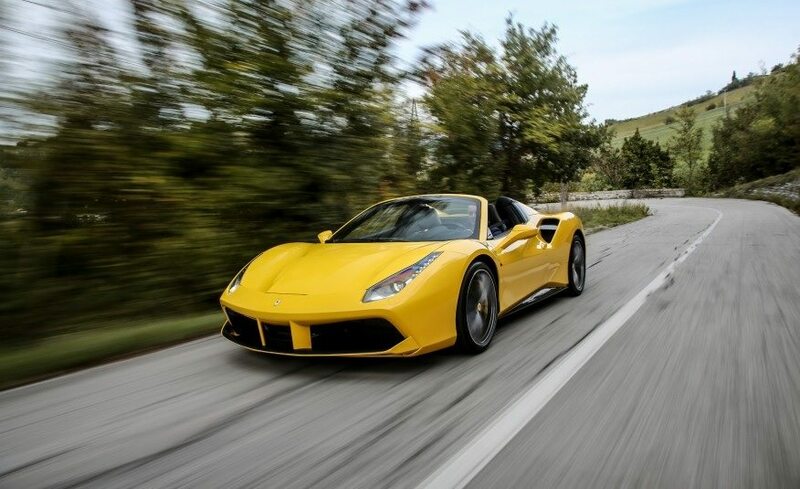 The Spider can accelerate 0-62mph in just 3 seconds which puts it at the same level as the McLaren 650S Spider. 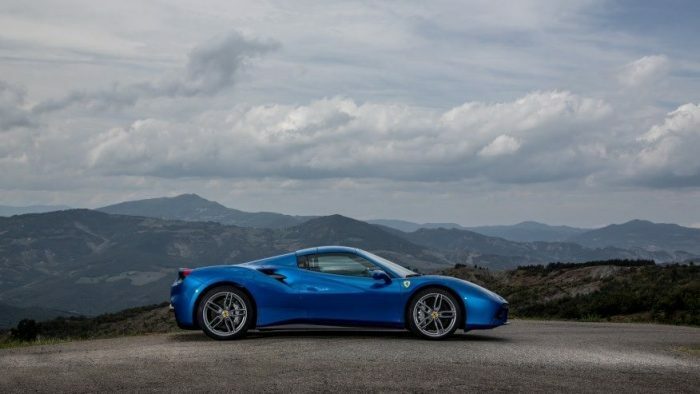 Even though the 488’s engine is not that as good as the 458’s 4.5-litre naturally aspirated V8, the 488’s V8 is still very outstanding on its own right. Even though the 488 Spider is marketed heavily as a 2-seater roadster variant with a folding hardtop of the original 488, the 488’s drop top still carries the same structure as that of the coupe version. 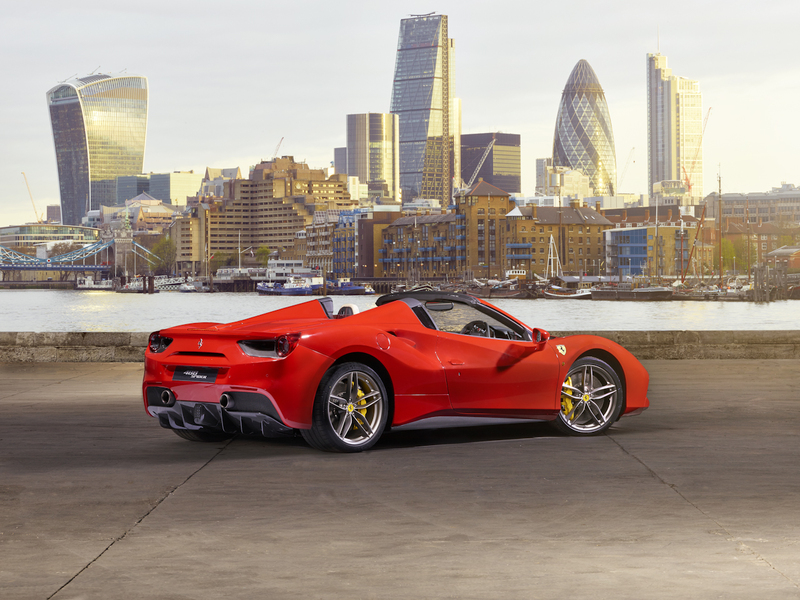 The company managed to make its drop top arrangement as good as the one seen on the McLaren 650S Spider which is capable of having its roof lopped off without any problem to its structure thanks to the its carbon tub. 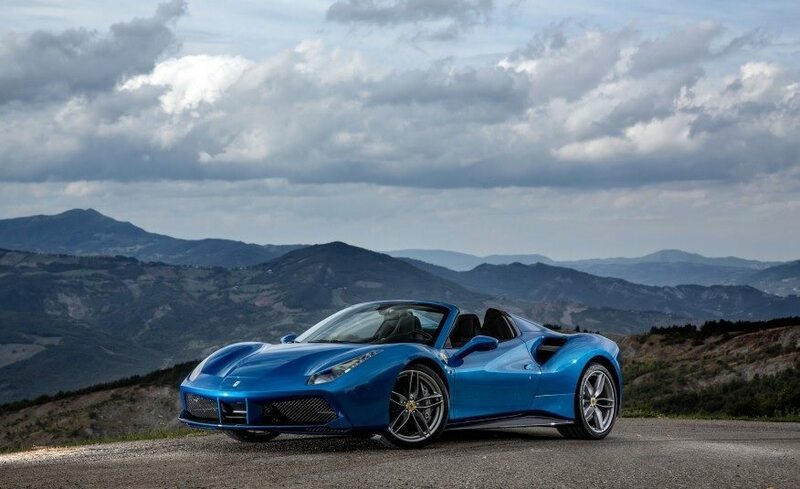 With this feature, the company is able to show that the 488 Spider is not just your ordinary open top car. 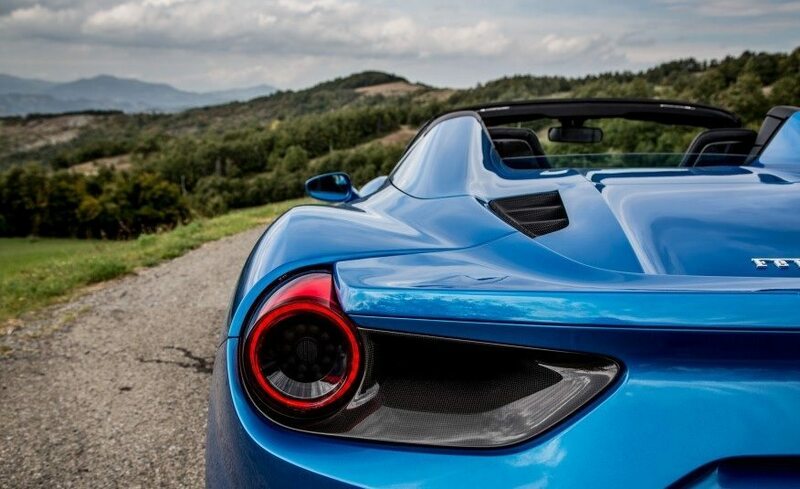 The 488 Spider also carries some clever technology inside it. 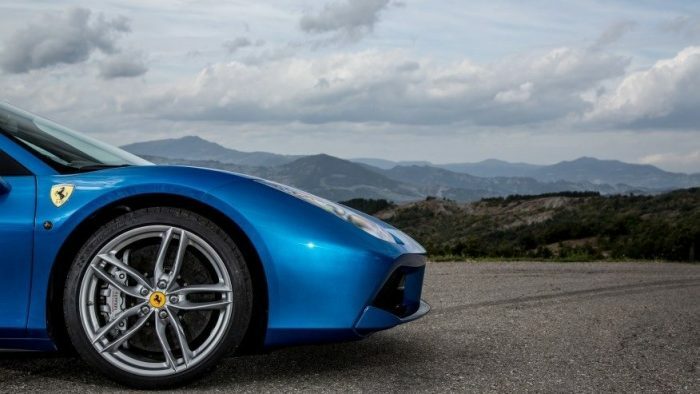 It even has the GTB’s clever technology, the active aerodynamics, which helps increase stability. 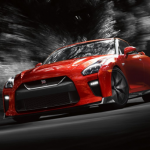 The car is also equipped with the company’s very own driver assistance tools which includes adaptive dampers and the side slip angle control system. 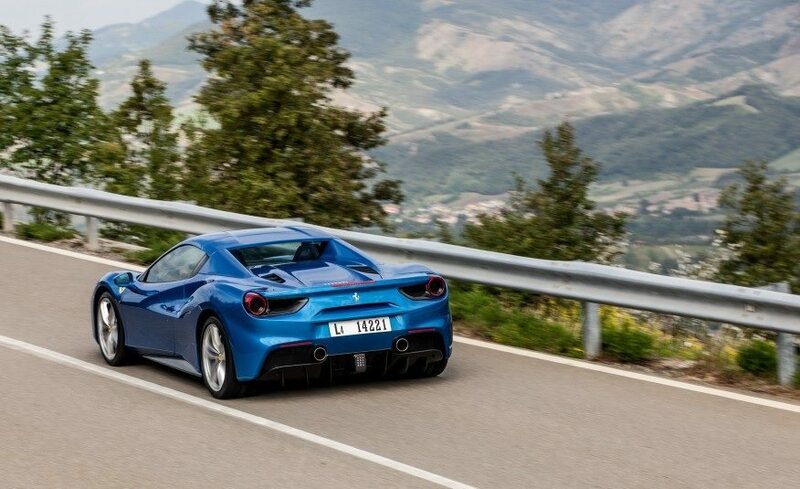 The latter, loosens the reins of the traction control system which will allow you to slide the rear end smoothly before the system steps in and gathers it all up for you. Other features worth noting from this car is the light and accurate steering which is made possible by its razor-sharp seven-speed dual-clutch gearbox and slightly recalibrated suspension. 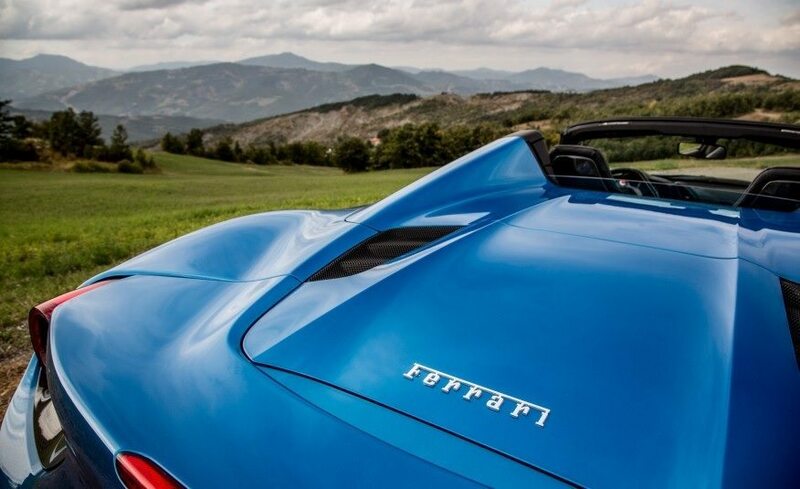 There is also a driving mode so-called ‘Bumpy Road’ which makes the Spider an overall better ride than most executive saloons that are offered by German car manufacturers. 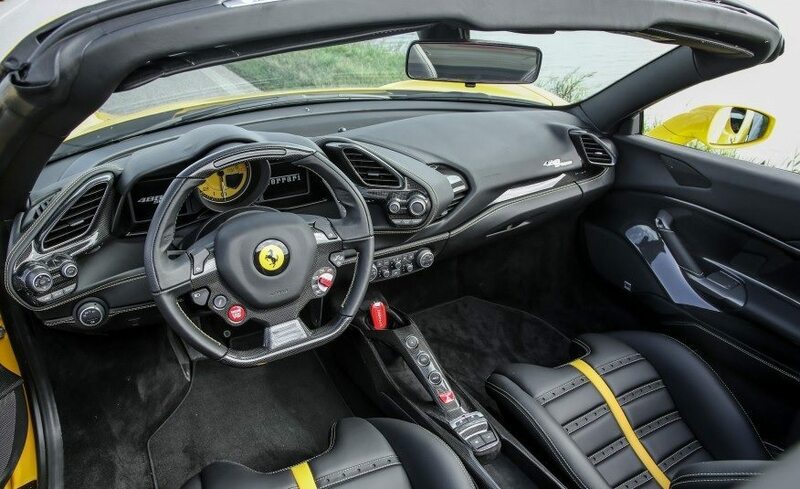 The interior of the 488 Spider is very welcoming and comfortable. 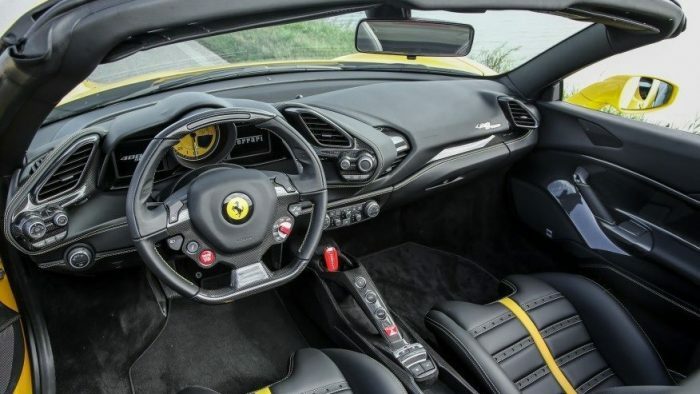 Its interior has a driver-focused arrangement that works really well with the two pods acting as as your entertainment and car information hubs. 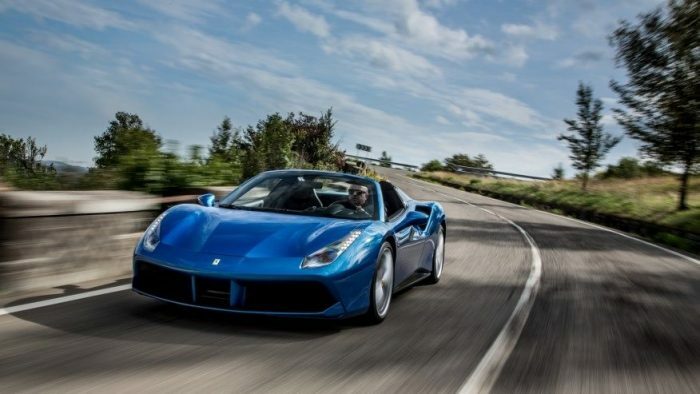 As of the moment, the 488 Spider is priced at $276,450.